In August, FanMail is taking you back to school! 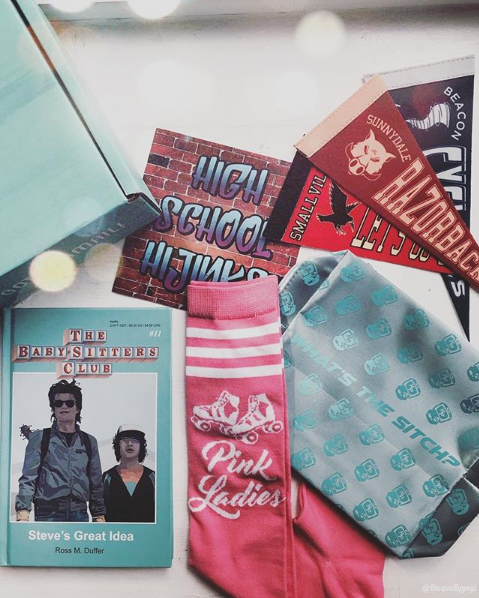 Our "High School Hijinks" box will have you hanging out with your favorite pop culture high schoolers! These teens have to deal with superpowers, creatures of the night, and monsters from other dimensions, all while facing the usual teenage angst, relationship drama and, of course, the horror of cafeteria food. Whether you're a jock, Crow, nerd, Razorback, greaser or runaway emo kid, you'll find the right clique in our August box!